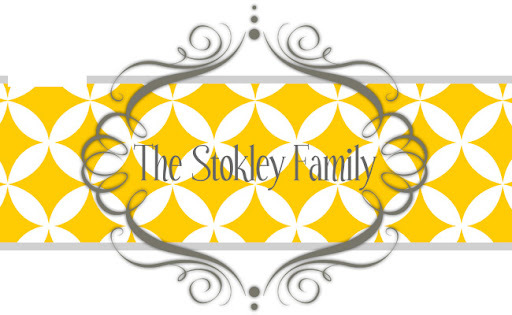 The Stokley Family: Let the Tball season begin! Let the Tball season begin! So it has started again...yep, I'm talking about Tball. To be honest I was NOT looking forward to it. Any time I even thought about it I would have flashbacks to last year. It was TERRIBLE. Every game and practice was a struggle. He hated it and I hated making him go but think if you start something then you have to finish it. So he finished the year out. Every game and every practice. There were still many tears shed but he finished and I was so proud of him. When it came time to register for Tball again this year I didn't really want him to play. I asked Ryan about maybe letting him try soccer instead. In soccer you just practice one night a week and have one game a week on Saturday as opposed to Tball where you are literally at the ball park 4 nights a week. Ryan said no, he really wanted him to try Tball again. When we asked Tanner about it he seemed pretty excited to play. His first practice was Monday night and I'm happy to report he did EXCELLENT!!!! No tears, no fighting, no whining. I was so proud of him!!! He got to play pitcher all night so the majority of the balls were hit to him. He would get them and throw it straight to first just like he was suppose to. It was so great!! You can see Ryan in the background of the first picture. Tanner said he wanted Ryan to coach if he was going to play. I thought that was a horrible idea and told them both that. I just knew if Tanner hated it and spent most of the game crying and pouting then he wouldn't want Ryan out on the field! :) But I will admit that maybe I was wrong...I think that Ryan being out there really helped Tanner and made him pay attention and play. I guess we will see a few games in if I was actually wrong or right! Let the Tball season begin...Go Braves! !